Finally the tunic I've been for waiting for has arrived. I already own the helmet that goes with it. They were worn by an officer from West Ham division. The original duty arm band is also present. A massive thank you must go to Dave Wilkinson who had a snake belt to finish it. Thank you Dave for your help. 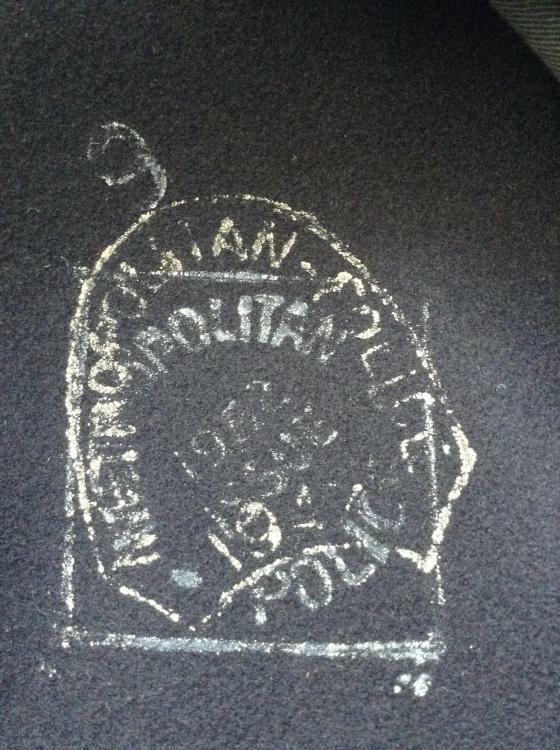 I found the date stamped at the back of the tunic which is great. There are two dates. One looks like 1947 and there is another stamped over it which is 1952. Does the double date mean it was re-issued? 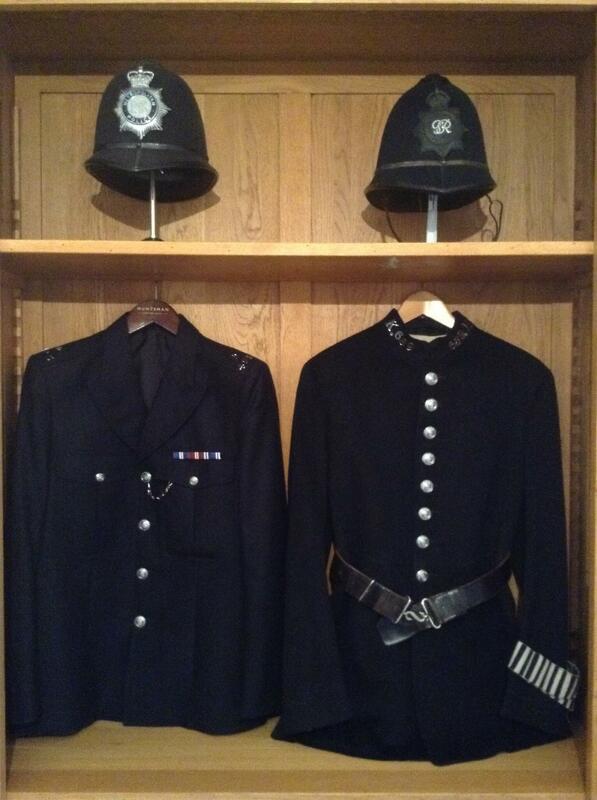 its now taken pride of place next to my own tunic and helmet. A nice cape is next, right? Yes a cape would be nice. I will keep my eyes open.